Mosin Nagant rifles represent an excellent value for the milsurp shooter. Chambered for the rimmed 7.62 Russian cartridge, they are powerful and accurate. An excellent hunting rifle, particularly when equipped with a Mojo MicroClick sight! Why is that a picture of a M96 Swede? 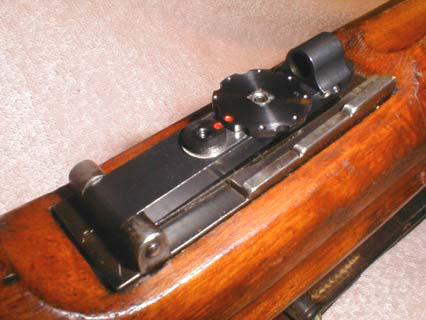 It's a long, sad story, but rest assured that your MNXMC MicroClick sight will be custom made to fit your Mosin Nagant. The mechanism, however, is nearly identical.